I am really excited to announce that I am one of the guest speakers at this years Keswick Mountain Festival in June. Read the new blog post on my Andy Beck Artist website here. 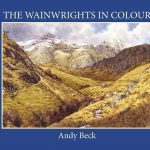 Sadly I have had to postpone the launch date of The Wainwrights in Colour book. More information in this blog post.